Fixtures for a wire terminal pull-off may require support beneath the barrel, or gripping the terminal blade or tongue. 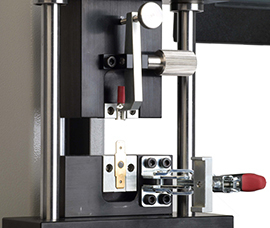 For pulling high-tensile strength splices apart, specific cam-design fixtures can be required. 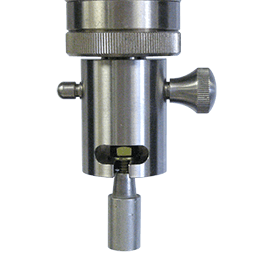 More frequently, terminals are custom designed with barrel and blade at an offset angle. 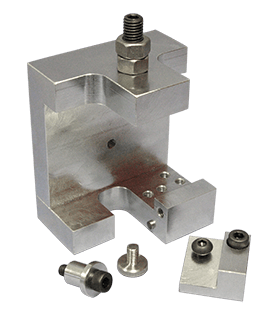 These ideally require mounting as for use on a custom block fixture. 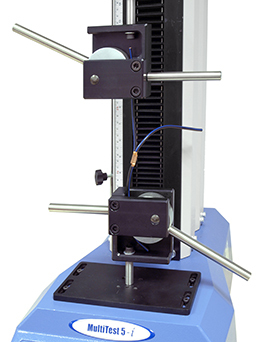 Other terminal testing includes insertion and withdrawal forces for connectors, which require accurately-aligned gripping, and easy setting up. At Mecmesin our engineers find economic design solutions for gripping most types of wire terminal even the most awkward of shapes and sizes. A major European wire harness manufacturer required special fixtures for testing its cables with copper barrel terminals above 5 kN. Mecmesin designed and made custom fixtures for both loop and bolt-end terminators. 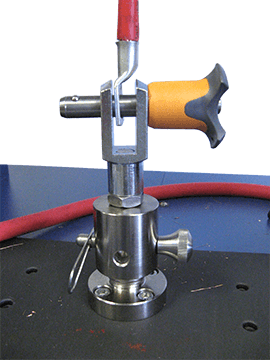 For use on one of our twin-column testers, this ensured correct and secure gripping, where wedge grips alone could not imitate their purposed fixing.